Item # 312468 Stash Points: 19,995 (?) This is the number of points you get in The Zumiez Stash for purchasing this item. Stash points are redeemable for exclusive rewards only available to Zumiez Stash members. To redeem your points check out the rewards catalog on thestash.zumiez.com. 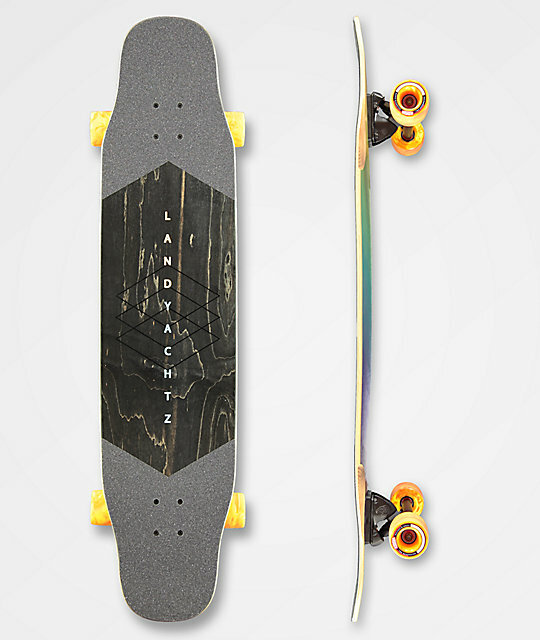 Take your cruising up a notch with the Landyachtz Stratus Faction 40" Longboard Complete. This flexible "dancer" board features mellow concave throughout and large kick tails for flat land tricks and slow speed freeriding potential. Bear trucks offer tons of stability and the Space Balls bearings rated at abec 7 pick up speed quickly and maintain it with ease. Finished off with 63mm, 78a wheels, this set up is made for quick acceleration and an extremely soft ride. 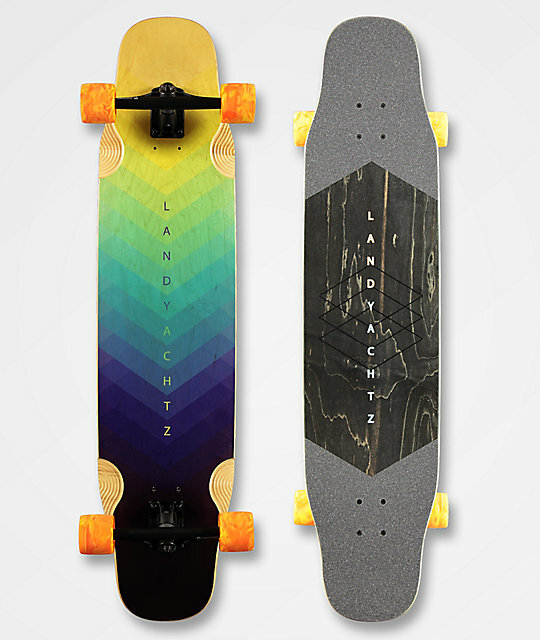 Stratus Faction 40" Longboard Complete from Landyachtz. Black grip tape applied to kick tails with a large gap in the middle. Mellow concave, double kick tail shape.